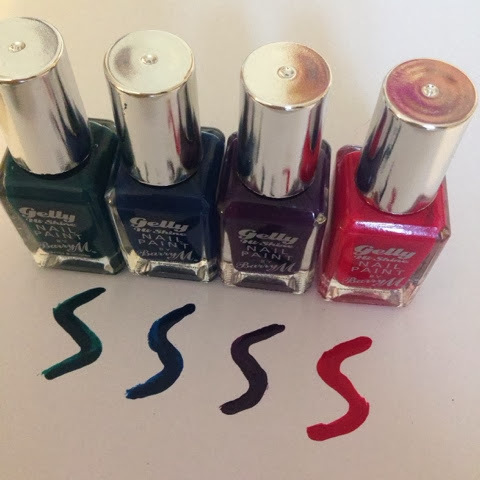 I've heard a lot about the Gelly nail polishes from Barry M and have always wanted to try them. However, I am addicted to Rimmel London I ❤ Lasting Nail Polish because they do really last ages and I find painting my nails such a chore so the less I have to do it, the better. Therefore, I've never bought myself one of the Gelly nail polishes from Barry M as I always end up buying one from Rimmel. However, I thought it was about time that I tried the Gelly nail polish from Barry M and asked for a few of the polishes for Christmas. I was lucky enough to receive four from my auntie and uncle. I asked for dark colours as I like wearing darker colours during the winter months. Since Christmas I've now tried all of them and I think my favourite has to be 'Plum' as purple is my favourite colour anyway and it's a lovely shade. Whilst I like the shine that the Gelly paints offer, they don't last as long as I had expected. They chip a lot quicker than the Rimmel I ❤Lasting Finish, but I will always be biased to them as they have served me well for many years now. Having said that, I do absolutely love the colours from Barry M and will definitely be getting a lot more wear out of them. 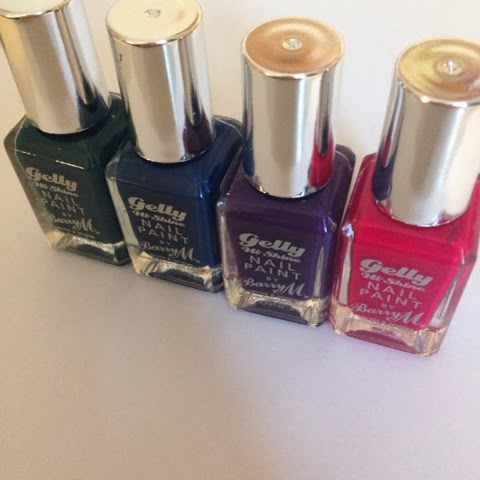 Have you tried the Barry M Gelly Nail Polishes? What's your favourite?